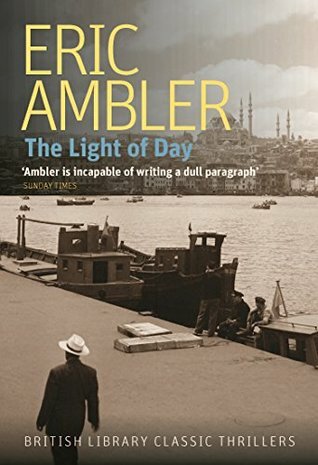 Like many other readers, I finished Ambler’s The Light of Day (1962) wanting to hear more from its neurotic anti-hero Arthur Simpson, the Anglo-Egyptian petty crook who got caught up in a big jewel-robbery in Istanbul. He was a highly engaging character not despite his many flaws but because of them. 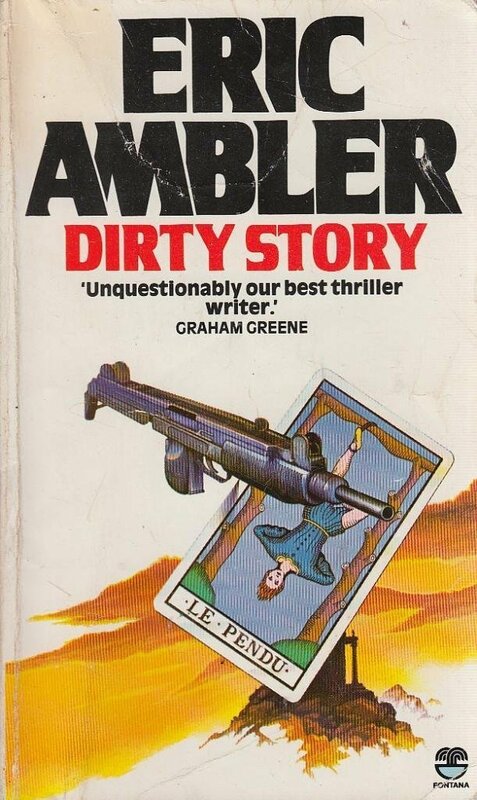 Five years later Ambler duly supplied more of Arthur in the novel Dirty Story. I finished it feeling very disappointed: this is a book to remind you that only the mediocre are always at their best. Perhaps it wouldn’t have seemed so bad if I hadn’t already read The Light of Day. But I had and I could see that Ambler had ruined one of his best characters by putting him in entirely the wrong setting. Arthur is a man of the city; Dirty Story puts him into the African jungle. He’s not a man of action; Dirty Story makes him into an armed mercenary. The incongruity is too big, unlike his involuntary transformation from petty crook to jewel-robber in The Light of Day. That incongruity was entertaining and made you feel sympathy for him. But Arthur as a mercenary? No, it doesn’t work. Nor does the twist whereby, as in The Light of Day, he makes it out with a whole skin and a new ambition. But the book started promisingly. Arthur is back in Greece and wants a new passport. He gets into big debt to pay for it and has to work off the debt by becoming an assistant on a pornographic film. Helped by a thuggish and unstable Frenchman called Goutard, he recruits actresses for the film from Madame Irma, the madame who appeared in The Light of the Day. But Goutard tries to lure the girls away to a new brothel and Madame Irma is understandably annoyed. She denounces both Arthur and Goutard to the Greek police and they have to flee the country together on a ship. Who knows what interesting adventures he could have had working as a steward on a holiday liner? He could have got involved in smuggling or a ship-wreck, become an accidental hero, even had another run-in with the jewel-robbers of The Light of Day. But he doesn’t become a steward and none of that happens. Instead, Goutard, a veteran of wars in Algeria and Indo-China, helpfully finds him work as a mercenary for a mining firm in an unnamed African country. Arthur has given him a false impression of his own military experience, you see: “Of course I am not, strictly speaking, an old soldier, but because of my father I sometimes feel like one.” The job doesn’t seem too bad: he’s told it will involve “showing some stupid macaques how to secure and protect a strip of land” (macaque, literally a kind of monkey, is coarse French slang for a member of the Black Community). In fact, it will involve a lot more than that and although Arthur won’t have to fight, he will have to operate a radio while bullets are flying. Because he’s operating a radio, he gets a chance to betray his employers to a rival mining company. By then, he isn’t a good character any more. He is out of his milieu and there are no fascinating glimpses into an exotic culture and its history, as there had been in The Light of Day. I finished the book no longer caring about Arthur and no longer wanting to hear more about him. Dirty Story may have inspired Frederick Forsyth’s The Dogs of War (1974), which is also about mercenaries, mining and double-crosses in Africa, but The Dogs of War is a far better book. 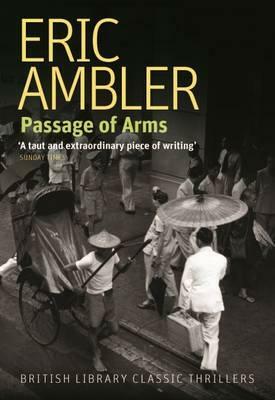 Forsyth doesn’t have Ambler’s sophistication or subtlety, but he can tell a rattling good yarn and the technical details of The Dogs of War are much more interesting. “My father was an officer and a gentleman,” I protested angrily. Note the first line of dialogue: Arthur was born in 1910. If he were a real person, the storm-and-stress of his life would be long over by now. I doubt that he would have made it past the 1980s. Indeed, you could say he was killed off in Dirty Story. But he still lives and breathes in The Light of Day and readers must still finish that book wanting to hear more from him. I haven’t re-read it since finishing Dirty Story and I’ll be interested to see what this apocryphal Gospel has done to my appreciation of the real thing. Improved it, I hope.